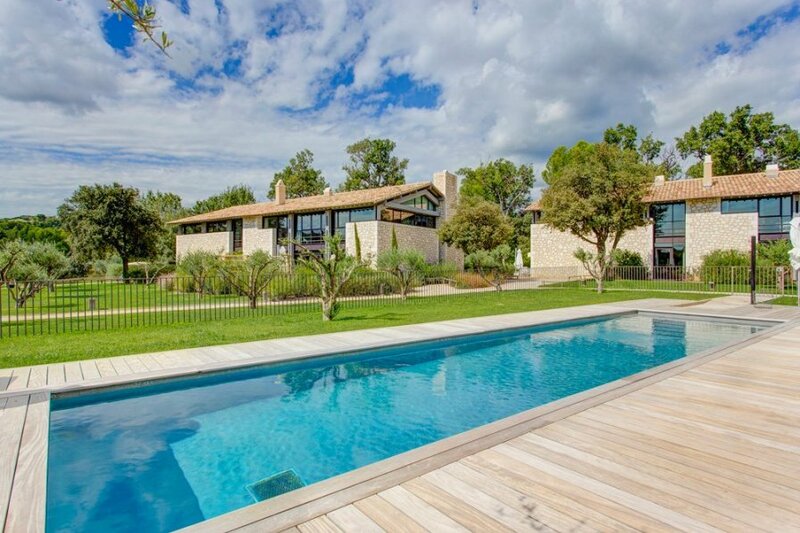 This exceptional Mas found in beautiful Provence is a real gem. This exceptional Mas found in beautiful Provence is a real gem, and an ideal holiday home for those who want to experience the very best France has to offer! If you're a fan of golf, this may well be the perfect destination for you, asMas Moreau sits at the edge of a golf course. Located a few minutes walk from the city center of Maussane, Mas Moreau's stone facades lead onto wide exterior openings, and its old roofing tiles set the tone for the true art of living in Provence. The quality and provenance of the materials used and the chic design of the interior gives the property an exceptionally authentic construction. Inside, it offers four bedrooms, four bathrooms and a spacious contemporary lounge area that opens onto a private terrace. Apart and yet in the heart of the golf area, you will be privileged guests and have access to the hotel spa, indoor and outdoor pool as well as golf driving range facilities. The superb spa will allow pleasure-seekers to enjoy a luxurious pampering, while the kids will be taken care of at the kids' club or watching a movie in the cinema at the golf resort. - 19m2 double room with double bed that can be separated into two single beds as required. Nestled in the beautiful Alpilles national park, Les Baux-De-Provence is easily one of the most picturesque villages in France - it's even won awards for its outstanding beauty! Close to the centre ofMaussane, Mas Moreau is situated on the edge of a fantastically equipped golf course. Not only will you be able to head into town to sample some great bars and restaurants, some of the golf course's facilities are available for you take advantage of too. Catering and meal delivery are both available at an additional cost. Please enquire for prices and details. Daily maintenance and housekeeping of the house and its surroundings is included.